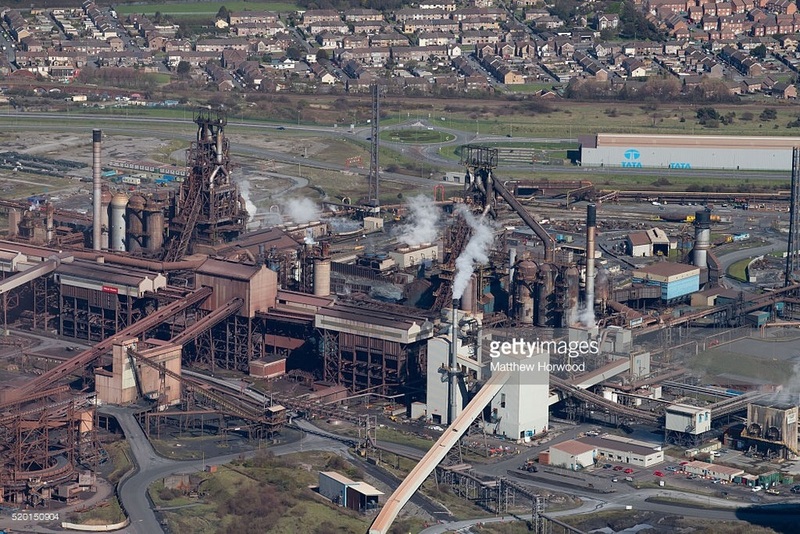 Here are a selection of aerial pictures taken from a plane over Tata steel in Port Talbot, south Wales. The pictures were taken with Nikon's latest camera the Nikon D5. A general aerial view of Tata steel on April 9, 2016 in Port Talbot, Wales. Indian owned Tata steel has threatened to pull out of all its UK operations putting 4000 UK jobs at risk. Liberty House, run by Sanjeev Gupta, is the only company to publicly express an interest in Tata's plants. Business Secretary Sajid Javid has said the sale process for the steelworks will start on Monday. Tata steel worker Tony Price poses outside Tata steel works on April 1, 2016 in Port Talbot, Wales. Owners Tata Steel have put its British business up for sale placing thousands of UK jobs at risk. Today business secretary Sajid Javid will visit the steel works to discuss with senior management how the UK Government can support the site and maintain steel making in Port Talbot.